Karl Kent is a registered Architect and a qualified Town Planner. He is a Fellow of the Royal Institute of Architects in Ireland and a Member of the Irish Planning Institute. He has a master's degree in Urban and Building Conservation and a Diploma in Environmental Impact Assessment. 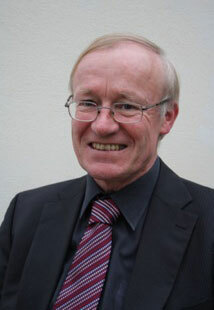 He is also a member of ICOMOS, Ireland (International Council on Monuments and Sites). Karl is a co-founder of Doyle Kent Planning and Architecture, which was founded in early 2012. In July 2013, the Minister of Health appointed Karl as a member of the National Paediatric Hospital Development Board. Karl was a full time Member of An Bord Pleanála for 10 years, from 2001 to 2011. He was a Member of the Strategic Infrastructure Division of An Bord Pleanála, from its establishment in January 2007. He was also Deputy Chairperson of An Bord Pleanála prior to completion of his term on the Board. As a member of the Strategic Infrastructure Division, Karl was a decision maker in respect of many important schemes, for example the east-west electricity interconnector, the DART Underground, several motorways and a number of significant energy projects, including the Corrib Gas development. Before his appointment as a Member of An Bord Pleanála, in 2001, Karl had been a Senior Inspector with An Bord Pleanála for over a decade. Previously, he had spent several years working as a planner and as an architect in both the public and private sectors. He has a wide knowledge and understanding of the planning system in Ireland. Doyle Kent Planning Partnership Ltd.